Roger Corman FTW! Galaxy of Terror and Forbidden World, two space horror cheesefests from the early 80s. 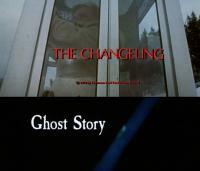 A look at two spooky supernatural thrillers from the early 80s. When trolls and goblins attack! Two classics (and starring Judy Davis!). One is the Cronenberg directed version of the Burroughs book; the other is a great Coen Brothers piece. Bill reviews two horror anthology films – one from 1982 and one from 2008. Side note: Trick ‘r Treat, having been shelved since 2007, is now available on DVD and Blu-Ray. BCI DVD releases a double feature as part of their “Exploitation Cinema” package. This time out it’s two early 80s grindhouse/camp releases – Mausoleum (starring the good looking Bobbie Bresee) and Blood Song (featuring Frankie Avalon as a serial killer – as far away from a “beach” movie as he can get).